The Vedanta Society’s “new temple” at Fillmore and Vallejo. 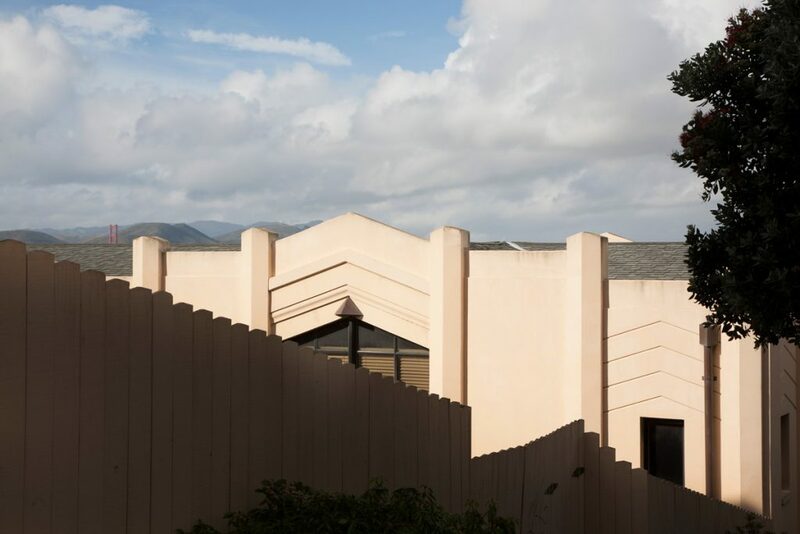 The Vedanta Society of Northern California was founded in 1900 by visiting Hindu monk Swami Vivekananda, who earlier gained fame and admiration at the Chicago Parliament of World Religions in 1893. 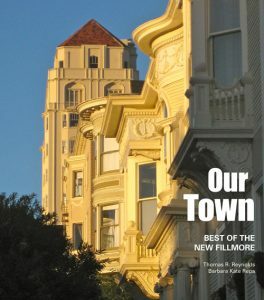 The society owns two neighborhood landmarks: the “old temple” at 2963 Webster at Filbert, completed in 1905, then further expanded in 1908; and the “new temple” at 2323 Vallejo at Fillmore, dedicated in 1959. “Vedanta is the oldest of the major living religions of the world,” according to the society’s website. “It affirms that all religions lead to the same truth.” Put simply, this branch of Hinduism underscores the importance and universality of the world’s diverse religions and cultures, and promotes oneness with God. 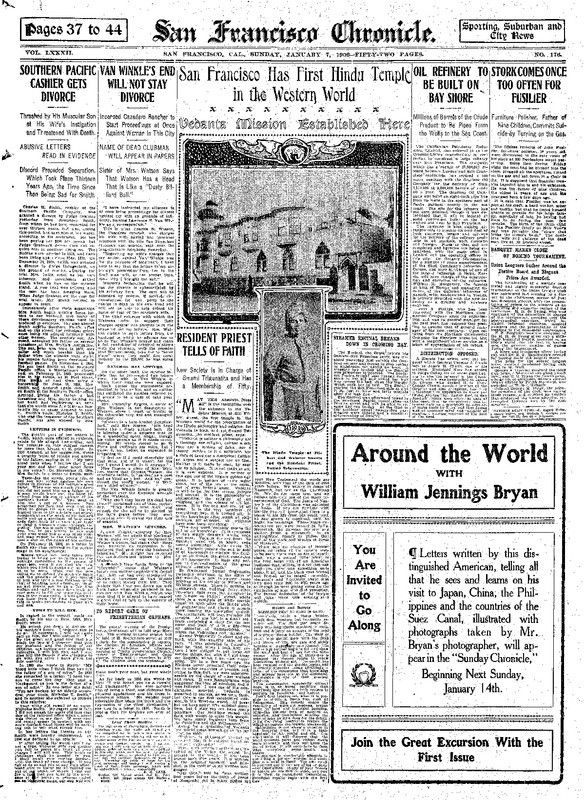 Under the headline “Arrival of Hindoo Lecturer,” the Chronicle announced on February 23, 1900: “Swami Vivekananda of Bombay, a renowned teacher of the Vedanta philosophy … will remain here for several weeks teaching and lecturing.” The swami’s reputation preceded him to the Bay Area, and within days of his arrival, an estimated 2,000 people attended his lecture at Oakland’s Unitarian Church. Realizing San Franciscans’ intense interest in the Vedanta teachings, Swami Vivekananda arranged for a disciple, Swami Trigunatita, to take up the local post and provide leadership to the fledgling chapter of the society. Under the newly dispatched swami, the society soon began to plan for a permanent meeting place. Using elements of the world’s religious architecture to convey the society’s belief that all religions are true, the architect expanded and elaborated on the building just two years later. While Leonard was the official architect, it seems clear that Swami Trigunatita heavily influenced the design of the vertical addition. The architectural ornament used in the 1908 alterations referred to both old world and eastern precedents. 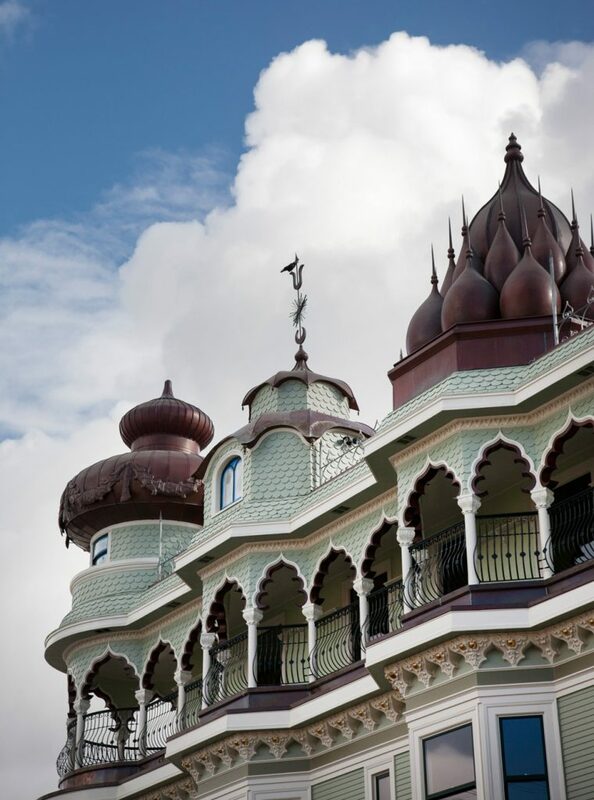 Projecting from this eclectic structure are five distinct domes with European, Moorish, Hindu and Russian influences — and one very reminiscent of those that grace the Taj Mahal. At the upper story, Moorish columns support cusped Mughal arches, forming an arcaded balcony. The effect is extraordinary, and must have been quite a sight in 1908 San Francisco. The Vedenta Society’s “old temple” at Webster and Filbert. Attracting a wide range of curious students to the temple in April 1908, Swami Trigunatita preached at its formal dedication ceremony. His Sunday lectures became very popular, and within a few years, the society’s auditorium was full for his weekly sermons. Then tragedy struck. 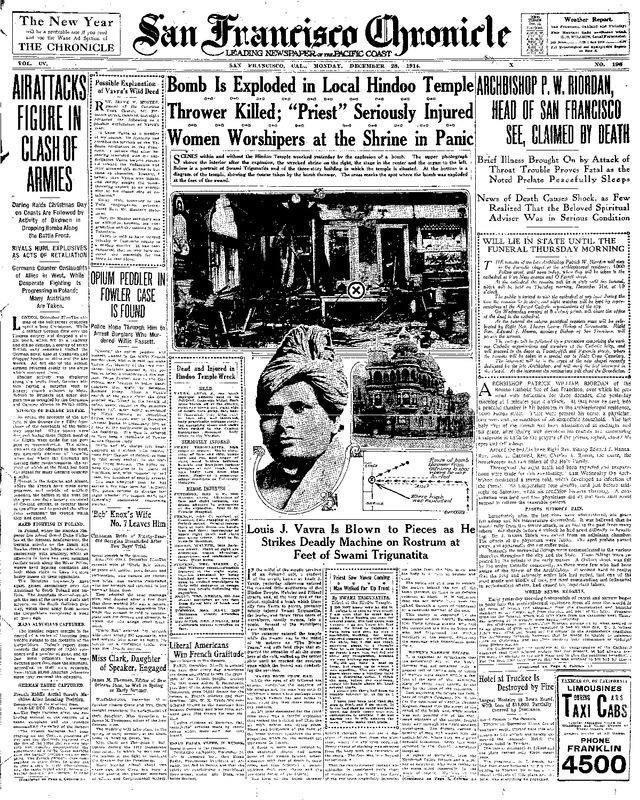 Just after Christmas 1914, a lone fanatic, Louis J. Vavra, entered the temple carrying an explosive device, proceeded to the rostrum where Swami Trigunatita was preaching, and detonated it. The bomber’s motive was never fully understood, although it was speculated that he held some sort of grudge against the swami, or was put up to the deed by those who wished the swami ill. Swami Trigunatita later died of injuries he suffered in the explosion, and the event left the temple damaged and the congregants shaken. Nonetheless, the temple was repaired and Swami Prakashananda came to San Francisco by the end of 1915 to lead the society. The 1920s through the 1940s saw continued growth and engagement of the Vedanta Society. As early as 1941, under the direction of Swami Ashokananda, the society began to contemplate building a new temple. 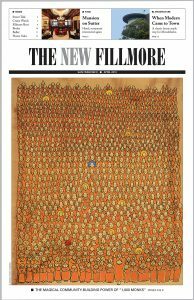 It acquired a lot at the southwest corner of Fillmore and Vallejo and hired architect Henry Gutterson to design a building to fit the hilly parcel. 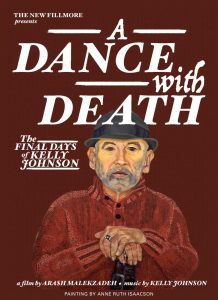 Gutterson was known for his residential work in Alameda and Berkeley as well as his home designs in San Francisco’s St. Francis Woods, Jordan Park and Ingleside Terrace. A Christian Scientist, he also designed a number of California’s Christian Science churches. Gutterson’s “new temple,” a 1950s throwback to the earlier Art Deco style, was not formally dedicated until 1959, after his death. 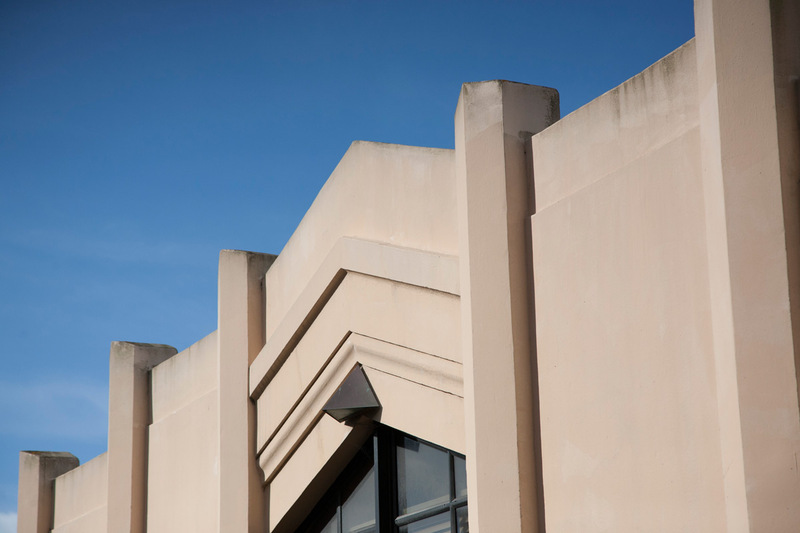 Stepping up the steep incline of Fillmore Street, the building’s smooth concrete finish is interrupted with pilasters, modified chevron patterns and a tower along the Vallejo Street elevation. The “new temple” featured an extensive library — today open on Sundays or by appointment — and a lovely, mid-block garden that now has curving stairways and paths meandering uphill alongside the neighboring residential buildings.